soundSpark is a free, monthly new music series for young children featuring solo and duo performances by emerging artists. soundSpark takes place at 12pm on the first Saturday of every month. The April 2017 featured artist is Kozue Matsumoto. Born and raised in Tohoku area in Japan and having lived in Tokyo as well, Kozue is now based in the Los Angels area. She has played koto since she was three years old under Ikuta-ryu Miyagi-kai and holds a semi-master title. She has also played shamisen and shinobue since she was small. In North America, she has been collaborating with various musicians, dancers, visual artists etc. 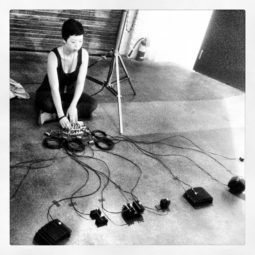 Not only does she play traditional/contemporary/experimental music, but she also improvises, composes, and creates digital arts. 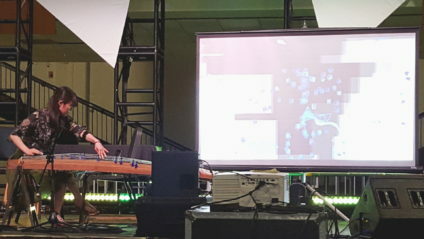 Other than performances and inter-disciplinary collaborations with various artists, she is currently working on integrating the koto sounds and computer technology to expand the koto performance. 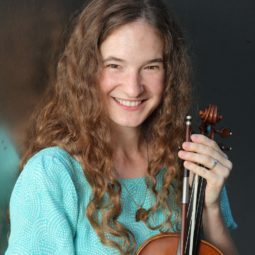 She has studied improvisation, composition, and technology under Susan Allen, Vinny Golia, and Eyvind Kang, and Ajay Kapur, and graduated with her M.F.A. in Performer-Composer at California Institute of the Arts. Help SASSAS present great free programs like soundSpark–give today! 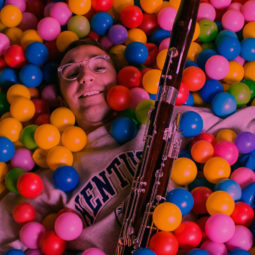 soundSpark is a free monthly new music concert series for young children featuring solo and duo performances by emerging experimental musicians. soundSpark takes place in the West Hollywood Library Children’s Theatre at 12pm on the first Saturday of every month. This program is presented with the support of the City of West Hollywood through its Arts and Cultural Affairs Commission. For more info on WeHo Arts programming please visit www.weho.org/arts or follow via social media @WeHoArts. All content ©2019 SASSAS unless otherwise noted. Site by team A design.